Feet up in a hammock with palapas and tourist couple in the background. 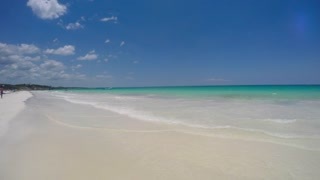 Tulum, Mexico. TULUM, MEXICO FEB 22nd: Road sign in Tulum on Feb 22nd, 2013. 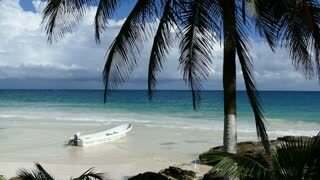 One of the best-preserved coastal Maya sites, Tulum is today a popular site for tourists. Woman with wide brimmed hat reads by the side of a pool. 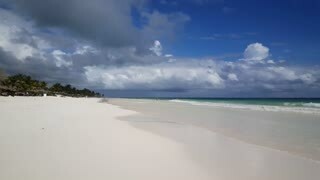 Tulum, Mexico. Feet up in a hammock. 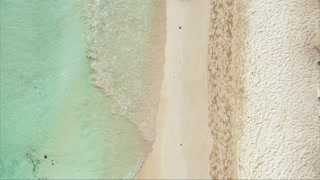 Tulum, Mexico. Volleyball net on the beach. 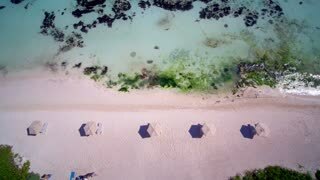 Tulum, Mexico. 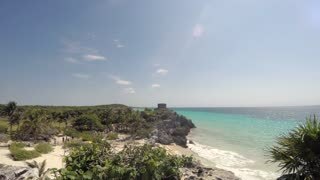 Tulum Mexico Temple Overlooks Beach Ocean Tropical Dci 4K 120. 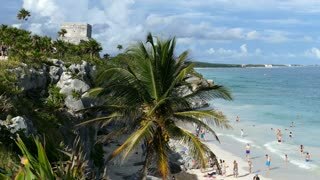 Mayan ancient walled city along coast. 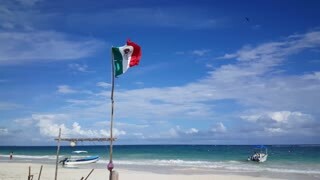 Built on cliff over looking beach and Caribbean Ocean east shore of Yucatan Peninsula. Today a popular site for tourists. 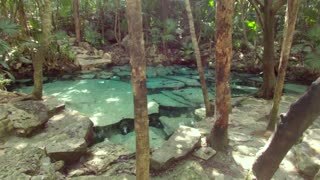 Tulum Mexico Acrobat Men High Rope Swing Dangerous Dci 4K 166. 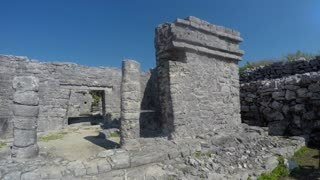 Pre Columbian Mayan ancient walled city along coast. 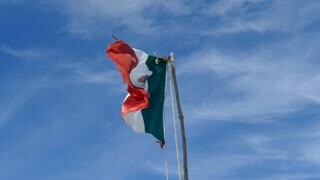 Built on cliff over looking beach and Caribbean Ocean east shore of Yucatan Peninsula. Today a popular site for tourists.